Rick's Cafe Texan: How Can A Great Book Bring Such Lousy Adaptations? How Can A Great Book Bring Such Lousy Adaptations? I have read The Great Gatsby and seen three adaptations of the F. Scott Fitzgerald novel: the 1974 film version, the 2000 television adaptation, and the 2013 film version. There was a 1926 version which is a lost film, and a 1949 version currently unavailable on DVD. 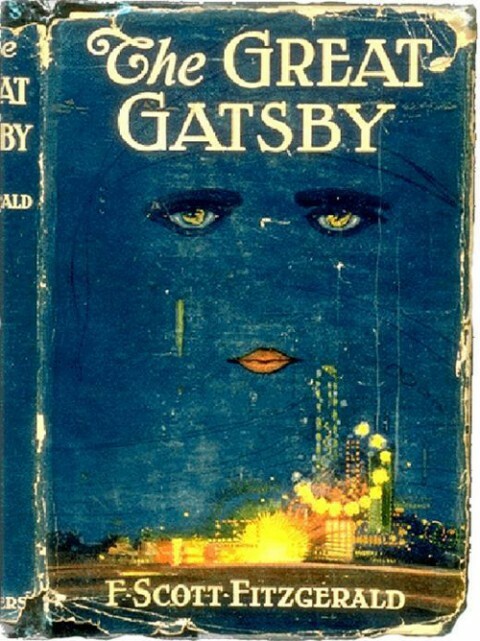 Now, one would think that something as well-read (though perhaps, not well-enjoyed given its assigned reading versus when I read it for pleasure) and well-known as The Great Gatsby could inspire a whole series of great adaptions. Sadly, despite their best efforts the quintessential version of Fitzgerald's opus remains as elusive as that green light across the bay. The three versions of The Great Gatsby I have seen have been pretty flawed affairs, some more than others. That being said, when I say something or someone is 'the best', that should be taken with a grain of salt. More often than not, it just means that the actual 'winner' is there by default (i.e. the others were worse). Very rarely could I say there is a brilliant version in any of the three adaptations, but when I do find one, I'll let you know. This is clearly a 'default' winner. Is DiCaprio at 37 too old to play the young, romantic, doomed dreamer? Perhaps, though I forgave it pretty quickly. In terms of actual acting DiCaprio did bring a greater sense of both his foolish idealism and romanticism of the past than the other Gatsbys. The affectation he used whenever he called someone 'old sport' I think was correct. After all, Gatsby was 'playing a role', and the "old sport" was all part of that performance of his idea of what a successful, wealthy, powerful man was suppose to be. I would have said that overall, Redford is the best actual actor of the three, and while one would have thought he would have been idea as Gatsby he looked almost bored throughout his version, sleepwalking through his performance. I should also point out that Redford was...37 when he played Gatsby. Just a thought. Finally, Stephens just can't act. At 31 he is the youngest person to play the lead, but he actually looked older in the TV movie, and did I mention he can't act? However, in one of those 'even a stopped clock' scenarios, Stephens didn't embarrass himself and managed to do better than Redford. That is sad, but Stephens can't compete with DiCaprio. Talk about rather spoiled for choice. If one looks at each of them, we learn two things. One, they are all competent to great actresses. Two, Daisy Buchanan must be the hardest character to play in all literature, because all of them were on the bad side. It's only the degree of bad that they can be judged, and Mulligan is the least bad. At least when she played Daisy, I got the sense that she knew the character was ethereal, unreal, a fantasy floating through life carelessly. Farrow, who actually gives Mulligan a run for her money, would have won if not for the fact that her Daisy came across as a whiny airhead, one who screeches and whimpers her way through life (and that's after the points she earned by giving the most memorable line of all three versions, "Rich girls don't marry poor boys", which is not from the novel). Sorvino also could have done wonders, but she sounded too much like she was auditioning for a Marilyn Monroe impersonator to give much life to Daisy. 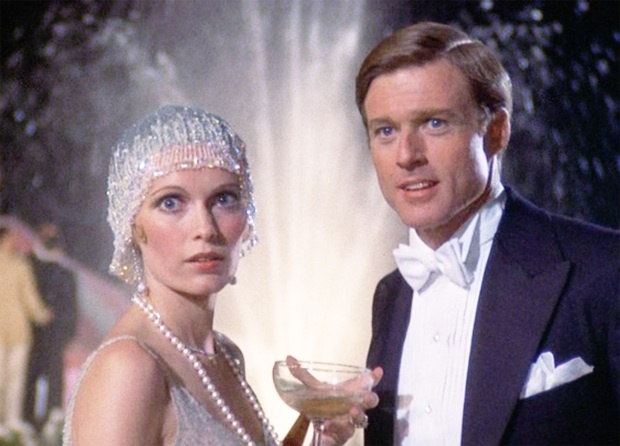 I just wish that the next version of The Great Gatsby (and trust me, there will be another version) makes Daisy into something Farrow, Sorvino, and Mulligan could not make her: human. Here we have an all-out winner, and that is Rudd. Nick is the moral center of the story, and of all the three actors I think Rudd is the one that came closest to making Nick both relateable and a nice guy caught up in the decadence of the Roaring Twenties. It's sad that Paul Rudd is now known mostly for comedies, because the guy is a pretty good to great dramatic actor. I hope someone gives him a chance to show that he can handle drama just as well as he can comedy. The other two actors are pretty good in other films, but Waterston was drowned by a bad script to where he came off looking as bored/boring as everyone else, playing things a bit far too seriously. Maguire on the other hand, got that 'gee-whiz' manner to him where he is more clueless than decent. He did a good job, but there is a thin line between being good and being dim. Just a thought. When I think of Tom Buchanan, I think of a brute, one who is big, beefy, and powerful. When I saw Joel Edgerton as Tom, he fit the idea of what I thought the character should be as well as what he should look like. Thank Heavens Bradley Cooper couldn't do it, otherwise we would have been stuck with THREE versions of a wimpy Buchanan. Yes, Cooper's pretty, but he doesn't scream, 'bully'. Edgerton does. I always felt Dern was miscast as Tom Buchanan. He's far too thin and unimposing physically (especially compared to Redford). It does not help that the 1974 version gave Buchanan so little to do. At least with Edgerton, he was more central to the story. Finally, who remembers Martin Donovan? As with Rudd, another actor who just ran away with it and is by far the best version of the character we've had. 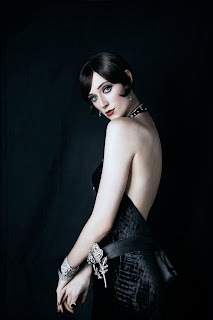 Debicki is the highlight of The Great Gatsby 2013 and a remarkable find. She brought the energy and vitality to Jordan, and it is a terrible shame that the character's affair with Nick was not shown. I suspect this was to make the perpetually innocent version of Nick just that, but what a waste. If she had more screentime, I would have pushed for her as a possible Best Supporting Actress, because you just wanted to see more of Debicki and Debicki as Jordan. Personally, if I were Gatsby, I would have forgotten about Dull Daisy and crossed into the Jordan Valley. Debicki got that she was larger-than-life, and her Jordan embraced the decadence. I hope Elizabeth Debicki gets more parts, because if there were any justice on this Earth, she should be a true star. Chiles was like everyone else, bored and boring as Jordan. She was the same in Moonraker (a film I am apparently one of two people who enjoyed it, the other being my friend Fidel Gomez, Jr., who may or may not be dead). It was a pretty bad performance, and as with Martin Donovan, can anyone remember Swift? If anything, The Great Gatsby always has us picturing the wild flapper styles of the Roaring Twenties. The ideas of fast cars and faster women, speakeasies, gangsters, and hot jazz and always intrigues people. Therefore, the costumes in any Great Gatsby adaptation are important. When looking at the wardrobe for all three adaptations, the ones to the 1974 version had the perfect blend of originality and believability in its Academy Award-winning Costumes. Those frocks and those hats and headpieces Farrow wore are beautiful, but they also look like clothes the characters would wear in real life. The ones from 2000 were all right but not memorable, and while 2013 had big, lavish, and beautiful costumes, they also were a bit too theatrical to believe the clothes would belong to real people. Catherine Martin may receive another Oscar nomination for her frocks, but for me, the 1974 version had better, more beautiful frocks all around. Again, this is damning with faint praise. I know many critics didn't like the 2013 version of The Great Gatsby, and while I recognize the problems within it I found it entertaining and enjoyable. I think the fact that it had some of the best performances of all three versions (Edgerton and Debicki in particular) pushed it forward. Then again, we have in the 1974 and 2000 versions slow clunkers, making the romance between Jay and Daisy a moribund affair. That being the case, here is where we get a winner by default. I will say that because I generally ignore 3-D adaptations I didn't suffer the effects of having things thrown at us. If one looks at all three versions, the 2013 version at least has a semblance of life within it. Again, despite their own efforts none of the Great Gatsby adaptations are worthy of the book. Therefore, we have to look at which one is the worst. The 2013 version at least moves and entertains. 2000 is a respectable version, although it is not a good adaptation that brings shame to TV movies. However, the 1974 version is just a disaster. It is slow. It is boring. It is badly-filmed. There is no energy. It makes the Roaring Twenties squeak. It has generally lousy performances. It is infamous in its ineptitude, and it is just something that is worth your time only if you are having trouble sleeping. Well, we have completed The Great Gatsby retrospective. Personally, I liked the 2013 version, would watch the 2000 version if there was nothing on, and would have to be paid to watch the 1974 version. Still, read the book. It is very, very good. Bob, I just read the script! Mia, I'm sure it'll be all right. We're too beautiful to fail. I have yet to read the book or watch the movie, however I do plan to borrow the 2013 adaptation from my friend soon. Good comparison between the different movies.